Gift wrapping is one of my favorite parts of the holiday season. A lovely presentation takes whatever is inside the package and brings it up a notch. Because the Sabbats are so minimally represented in mainstream marketing (and because commercialism is kind of cheesy anyway), I have listed some Yule gift wrapping ideas below that are truly for the pagan. Enjoy! Try this Triple Moon wrap. I had fun with this one. Simply take some glittery card stock or scrap booking, trace two crescent moons and a full moon, and cut it out. Use a base wrapping paper of your choice (I like simple white), add a ribbon and voila! Take the natural approach. I decorated these gift bags with leftover dried herbs from my garden harvest in the fall. This is an especially nice idea for handmade spell kits. Choose an herb that is appropriate for the spell kit inside. Lavender for a dream spell, dried roses for love spells, dried sage for a home blessing and so on. Wrap something in an altar cloth. Make your gift wrap part of the gift itself. 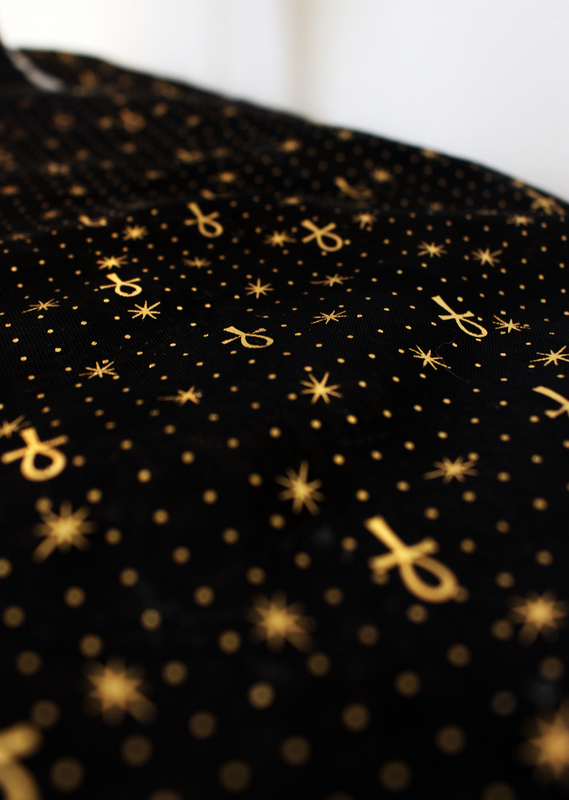 Use a beautiful altar cloth (like this one below) and tie it on the gift box in a bow. Gorgeous!